Not only is it a handsome, majestic city, where just walking around the streets can be an enchanting experience, but it has vast depths for whatever your interest is. Do you want to visit museums till your eyes bubble? You don’t have far to look. Do you want to explore world-class shops? You’ve come to the right address. Want to discover just about any adjunct of the good life? 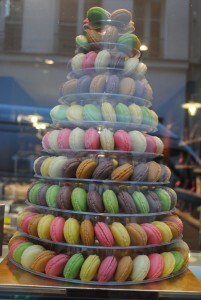 Paris has it. Its cuisine is world famous. And you don’t have to spend a fortune either, though be warned that the term “cheap holiday” and Paris don’t necessarily go together! Bistros are where you’ll find a single-dish meal, say roast duck (ask for canard confit) plus a glass of wine for Euros 20. Unless you spend all your time hunting down the nearest McDonald’s – a travesty in Paris – you won’t find a less expensive meal. There are addresses where multi ethnic restaurants are the norm. The most accessible of these is the tiny pedestrianised lane off Boulevard St Michel close to the left bank of the Seine. Greek, Lebanese, Moroccan, even Indian. This lane exists for the tourist, but in faraway Belleville, in the north part of Paris, you will be hard pressed to find a French restaurant: it is Vietnamese, Chinese, Moroccan, Turkish – you name it and you’ll find it there. I visited Belleville on market day and any number of North African (Tunisian, Moroccan and Algerian) women were bargaining for ras al hanut and preserved lime; the French cheese sellers did a less brisk business. The other multi-ethnic address is the Metro station of Porte St Denis. Enter the historic door (Porte) and you’ll find Chinese butchers, Moroccan halva sellers and Turkish gyros. It is not to say that French food should be given a miss – far from it, but after you have visited other countries in Europe, the French attitude to foreign settlers is truly remarkable. I read about Agha, a famous Moroccan spice and provisions seller in a website on Paris. It is quite obvious that it was seen as enriching to the city, rather than threatening to swamp the local culture. 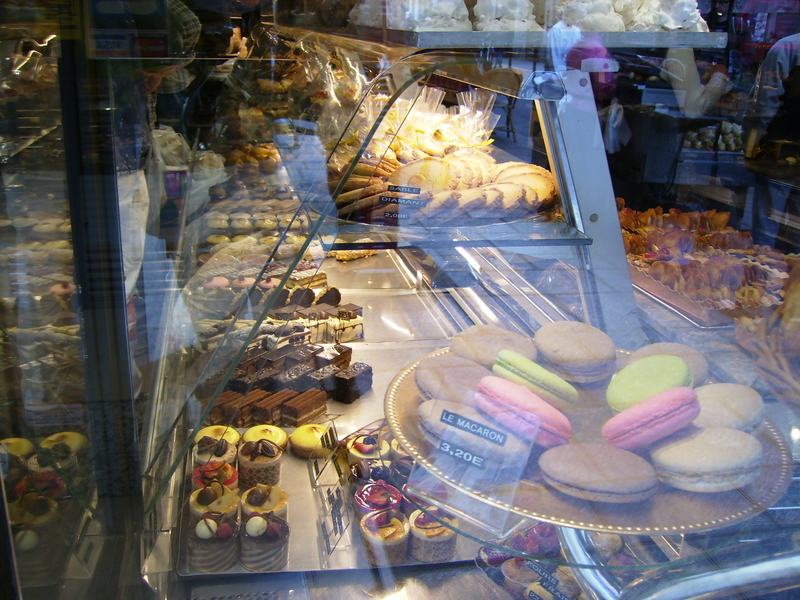 French patisserie and chocolaterie is a hard act to beat. You don’t even have to go to through the exalted portals of Dallayau to taste the best: just blunder into any neighbourhood bakery. Their tarte au citron – lemon pie – will have just that right hint of butter in the grainy crust and the lemon topping will have the optimum balance of sweet and tangy. 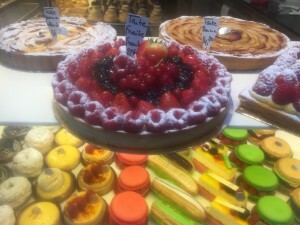 I ate one on my first day in Paris this last trip, facing the dome of the Opera, and I still don’t know if the bracing wind whipping my face was what did the trick or the surprising good lemon tart.